Real men wear pink. 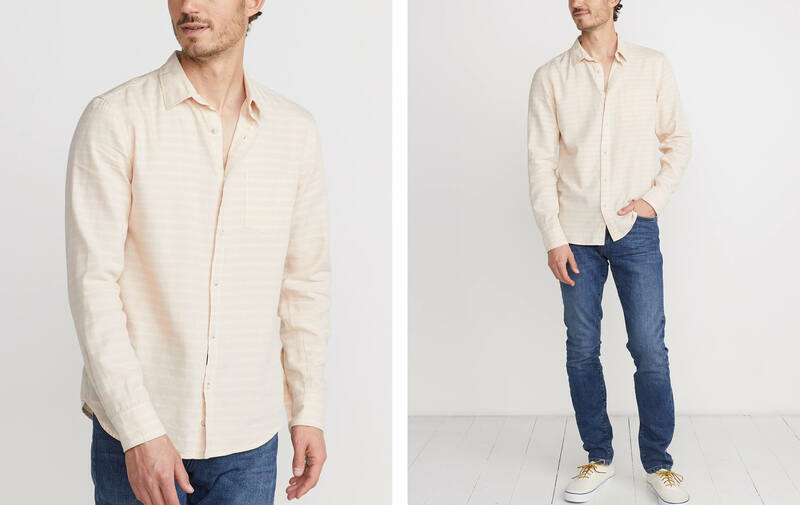 And realer men wear Rose Cloud Stripe (it's like a faded, dustier version of pink). This melange twill yarn is dyed in a way so that the coloring is intentionally inconsistent. The technique gives the colors an awesome depth (and makes each piece one-of-a-kind).